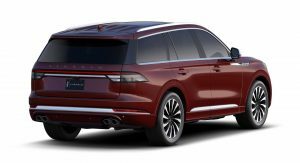 The configurator for the all-new 2020 Lincoln Aviator has gone online, disclosing the premium SUV’s trim levels and pricing. Things look quite promising for the Aviator, at least at the lower end of the range. A standard, rear-wheel-drive model starts at $52,195, including a $1,095 destination and handling fee. 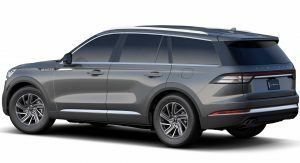 That makes it $9,500 cheaper than the 2019 BMW X5 xDrive40i, $2,500 more affordable than the 2020 Mercedes-Benz GLE 350 and $2,350 less expensive than the Audi Q7. Furthermore, the 2020 Aviator undercuts its German rivals despite the fact that it offers a more powerful engine than any of them as standard. The 3.0-liter twin-turbo V6 produces 400 hp (406 PS) and 400 lb-ft (542 Nm) of torque, sent to the rear wheels via a 10-speed automatic transmission. All-wheel-drive is a $2,500 option on base models and standard on the high-end Black Label. Another option is the “Grand Touring” plug-in hybrid powertrain — but it’s a costly one, as the cheapest 2020 Aviator Grand Touring will set you back $69,895; that’s a whopping $17,700 more than the base model. 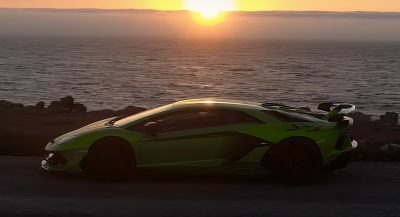 For the money, you get the twin-turbo V6 paired with an electric motor for a total combined output of 450 hp and 600 lb-ft (813 Nm) of torque. Well, at least you get all-wheel drive as standard on Grand Touring models. Lincoln offers the 2020 Aviator in three trim levels: standard, Reserve, and Black Label, each available with the Grand Touring PHEV powertrain. Standard models are actually well-equipped. 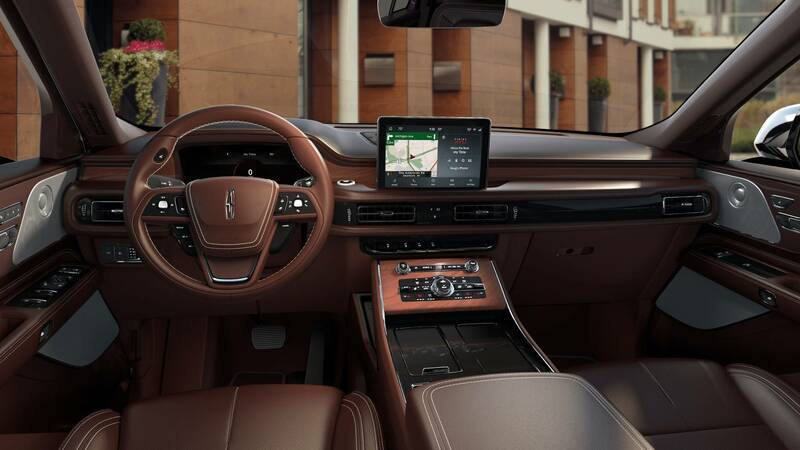 Features include a power liftgate, 19-inch wheels, automatic LED headlights and wipers, 10-speaker premium audio system, Lincoln Drive Modes, 10-inch touchscreen-operated Sync 3 infotainment system with Apple CarPlay and Android Auto, Hill Start Assist, the Lincoln Co-Pilot360 safety pack, and much more. 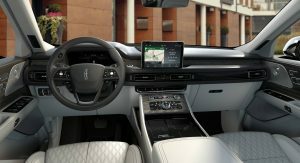 Reserve starts at $56,190 with the standard engine, bringing additional goodies such as 20-inch wheels, 360-degree camera, a 14-speaker Revel audio system, and quad-zone climate control, among other things. As for the range-topping Black Label, it starts at $78,790 for the standard engine with AWD and $88,895 for the plug-in hybrid with AWD. Going for the top model spares you the ordeal of browsing through options and packages because at that point there are only two extra features available: the Chroma Caviar Dark Gray paint ($1,750) and Class IV Trailer Tow Package ($500). The result is a range-topping 2020 Aviator that costs $91,145. Now go ahead and build your own. These will sell very well! Yep, they are priced to sell well too…can’t wait to see them on the road. Hope they have as much presence as the pictures convey. saw it a the Miami Auto Show a few months back, it was stunning in person. Me too! It was very well built and luxurious..those seats .. wow! I saw it in LA and it looked fantastic. They really should have a hug on their hands. $52,000 is absurd for a restyled Ford Explorer. If you can’t build things that average people can attempt to afford then good products will never garner sales. Prime example, Cadillac CT6 should have flown off the car lots but even it’s target audience, preachers, politicians and executives can’t even afford it. 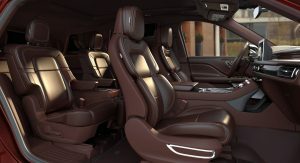 $52k gets you a well appointed xc90.. still the best in class when it comes to design. 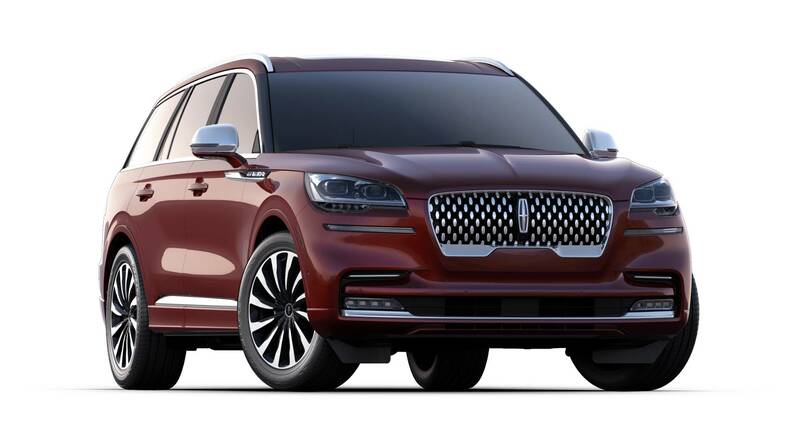 I love the XC90, but the Lincoln is on another level. Oh please. Just about every vehicle is restyled after another. This is about the same price as the Explorer ST. Now that’s a bit pricey for what it is but this isn’t a bad price for what it is. More like an Explorer ST. No other premium brand in its class provides that level of power for $52k. You say absurd, I say certified bargain. $52K new Ram 1500 Big Horn does not even come with leather seats. This is a good price for the Lincoln. Don’t wanna pay 90K? Then don’t add up all the options. Yes, but I rather put the money into the Ram truck than the Aviator for the same amount of money for its functionality as well as luxury to boot. Normally, people don’t get base vehicles, so they get pretty loaded anyways. The loaded Ram is $65K with E-Torque option and still as good as it gets with trucks. The Aviator is in a different class of vehicle and should be competitively priced with the domestics, not with the Europeans. I love the explorer but I think your eyes need to be checked. This is top notch luxury.. only thing I’d change to the entry level trim are the wheels.. this car begs for the upgraded wheels. The Aviator looks distinctly different in every way compared to the Explorer. I would have an issue if it were like the Tahoe/Yukon/Escalade triplets. It’s absurd that you would think every Explorer and it’s derivatives should be priced the same. 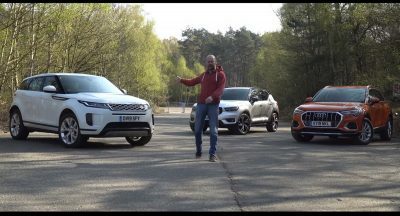 Just enough overlap with the upper end of the mainstream market to entice owners to upgrade, but sufficient style, power and features at the top end to draw even the fussiest luxo car buyers. I think it’s safe to say Lincoln dealerships are about to see a whole lot more foot traffic — including a slew of people who wouldn’t be caught dead in a Lincoln today. I think those are very accurate statements. This interior is great, especially with the stitching. This is definitely missing in the Cadillac XT’s! So the Traverse starts at $30k-ish, the Enclave at $38-$40k, so the XT6 will start at $47k to $50k? Good Lord the XT6 is trouble when compared to the Aviator. GM is going to have all sorts of cash on the hood of this thing. Yep. It’s a pretty much a nothing product, all badge engineering of a family vehicle with not nearly enough changes made to justify the Cadillac/luxury placement/pricing. It’s platform-sharing; something that Ford is also doing w/ the Aviator/Explorer (but w/ a RWD platform). Yeah we know all of this. A maxed out top trim aviator for 90 grand, isn’t that s class money? 90k for top of the line truck or 92k for a base sedan. 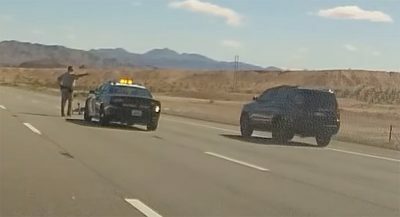 1- it’s not a truck, it’s an CUV. 2- that base sedan has more features to keep you busy for years. 2 top of line with top of the line features with many bells and whistles while a base has some but you could always spend more as you’ll never have the top of the line. Pick your S-Class Bash but your reasons aren’t the mic drop you make them out to be. The “let’s just prop an iPad on top of the dashboard” design has GOT to go. Sick of it already. 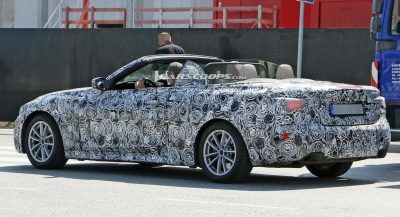 I would have preferred that to retract or flipped down like the older Volvos and Audis. I would have preferred that to retract or flip up and down like the older Volvos and Audis. Ninety thousand dollars for Lincoln with questionable quality? Not a bet I would take. If the black label is out of reach for you then get the base or the reserve model! What is so questionable about Lincoln’s quality. I don’t see you guys saying the same about Range Rover,Jaguar and quite a few luxury brands with quality issues. 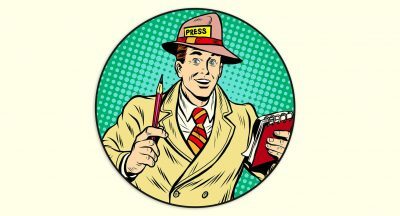 Your statement is not only a cliche but not true! 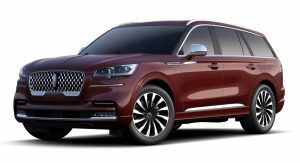 Welcome back Lincoln Motor Company! Fantastic design,attention to details,this should be a solid hit for you guys,over to you Caddy! 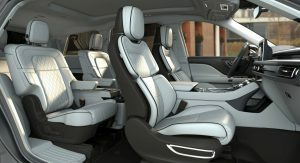 Can the rear seats be electrically adjustable? The 2020 Aviator’s design should have been the 2011 Explorer from the start, not the crossover-style that is overly saturated in the market up to today. Good job Lincoln! I love it even though not a big SUV fan. Price is right too. I gotta say though the base wheels look cheap. Auto sales are down for a variety of reasons. But first and foremost it comes down to the simple fact prices are simply outrageous for new vehicles across the board, regardless of brand, make and model. Back in 1970 you could buy a brand new, top of the line Corvette with all the bells and whistles for around $4500. Average household annual incomes in 1970 was around $10,000. Compare that with today – a new ZR1 Corvette is $120,000 with annual average incomes in the U.S. at $60,000. Until auto manufacturers get back to production numbers based on “economies of scale” rather then trying to maximize profits per unit, sales will continue to slide. Most people just don’t have the ability to pay such prices. I stopped buying new vehicles several years ago after I discovered my monthly payment was near what my mortgage payment was. I believe this will be very competitive. The XT6 better not be more than $75,000 or this and the rest of the competition will eat it’s lunch. 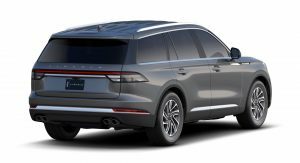 It is a very beautiful SUV and it is definitely priced right, although IMO the base model is the way to go if you don´t really care about those “luxury” extras. Besides, the top spec models will surely lose more value when they are sold in a few years.